Despite efforts to curb Harassment, Intimidation and Bullying, these issues still make their way to our headlines each season. What can you do to protect your child from such incidents? coaches and administrators, along with concerned parents and adults all trying their best to help kids make good decisions and be productive citizens. attend practices or games? Do the coaches reinforce positive behaviors, good team ideals and embrace good leadership ideas and skills? Are you uncomfortable with a particular tradition or policy that seems to be “a business as usual” policy? with another player. The mother took exception and it took the local police department to get her off the field from the pitcher’s mound where she had sat on the beach chair she brought, refusing to move. The young man quit the team the next day, suffering from a good case of embarrassment. Watch for signs of disinterest or not wanting to attend practices or games. Are any of their habits changing? behaviors you see athletes exhibiting at the professional and college levels. Cite examples of some of our leaders in all walks of life and what they did in athletics to help them along the way. Frequently discuss situations in sports that are not what sports are really about. 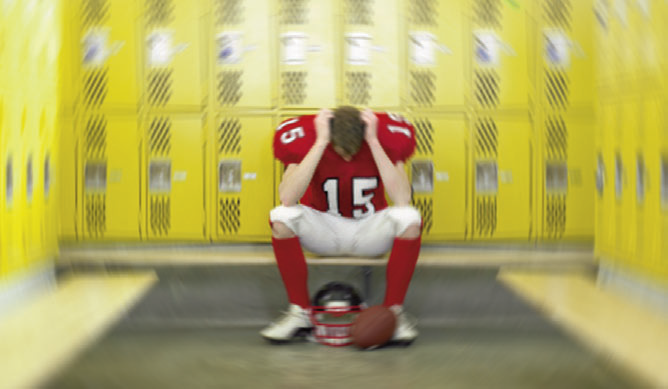 Tell your child why you think something is wrong and how they should be behaving while on the field or in the gym. Today our kids are bombarded with examples of poor behavior on some of the reality television shows on the networks and on cable. Behaviors which may seem funny on television may actually be quite wrong and hurtful in real life. students do some extraordinary things and some things that are really above and beyond the norm. Let’s all start to recognize those efforts instead of always dwelling on the negative things that can and do come up. The media descends on stories with “the latest on the ‘whatever’ scandal” is on that day. The details about the situation, the people involved bring correspondents, news teams and reporters in droves to the scene for immediate updates on the crisis. school basketball and golf and was voted Bergen County Basketball Coach of the Year in 2002. He has spoken at the New Jersey Medical Society Sports Symposium and to parent groups on various issues pertaining to youth sports. He was inducted into the NJ Coaches Hall of Fame in 2012.